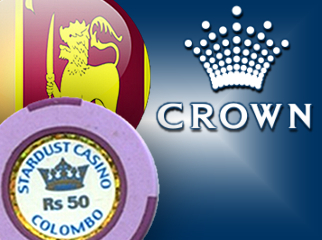 The Sri Lankan partner of Australian casino operator Crown Ltd. has shed more light – and prompted more confusion – on their proposed resort in the capital of Colombo. 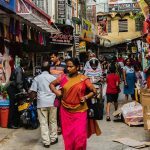 While Sri Lanka’s investment promotion minister announced yesterday that the $350m project wouldn’t contain a casino, Crown’s local partner says it will contain a casino and the cost will be closer to $400m. 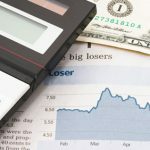 Lanka Business Online (LBO) quoted Ravi Wijeratne, the chief of local casino operator Rank Entertainment, as saying he already had a casino license and would be “taking my gaming business to this hotel.” Rank operates the Stardust Casino in Colombo (no relation to its Las Vegas namesake.) Crown has yet to formally comment on the announcements. 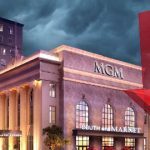 According to LBO, Rank Entertainment will hold a 45% stake in the 430-room hotel and entertainment complex, which is scheduled to open in 2016. Crown will also hold 45%, with the remaining 10% being held by undisclosed financial partners. Wijeratne says the complex is intended to attract “high spending tourists” from India and China. Last week, government representatives from both China and Sri Lanka agreed to elevate their relations to a “strategic cooperation partnership,” the features of which include China agreeing to boost annual tourist arrivals from China to 100k by 2015. In the first quarter of 2013, Sri Lanka welcomed 7,239 tourists from China, a 56% increase from Q1 2012. 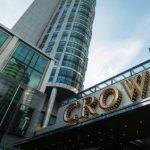 Crown got some more good news on Wednesday, as the Australian High Court unanimously rejected a high roller’s claim that the casino firm took advantage of his eagerness to gamble. Between June 2005 and August 2006, businessman Harry Kakavas wagered $1.479b playing baccarat at Crown Melbourne, including $164m in a frenetic five and a half hours in May 2006. After finding himself $20.5m in the red, Kakavas sued Crown, saying they shouldn’t have plied him with perks – including the use of the Crown private jet – considering he’d already been banned from Echo Entertainment’s The Star casino in Sydney when he went on his Crown bender. Lower courts dismissed Kakavas’ claims, noting that he himself had sought the perks he blames Crown for providing, even deciding to gamble elsewhere when Crown wasn’t sufficiently forthcoming with the freebies. High Court Chief Justice Robert French agreed, saying Kakavas had demonstrated the capacity to “make rational decisions in his own interests, including deciding from time to time to refrain from gambling altogether.” As such Crown “did not knowingly victimize” Kakavas by allowing him to gamble at their casino. It’s a banner week for common sense in judicial reviews of regretful gambling whales. 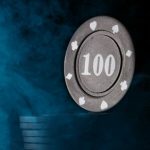 On Tuesday, the US Second Circuit Court of Appeals upheld a lower court’s ruling that the operators of Connecticut’s Foxwoods Resort Casino weren’t guilty of civil racketeering for not preventing Bruce Tassone from losing $3m playing blackjack and craps. Tassone had sued the Mashantucket Pequot tribe for processing his credit card transactions and mailing him promotional materials, but the Court rejected Tassone’s claims that this amounted to bank, wire and postal fraud. The Court also ruled that it lacked jurisdiction to handle a suit brought against the tribe, which enjoys sovereign immunity to suits filed by non-tribal members. Undeterred, Tassone intends to ask the US Supreme Court to hear his case.